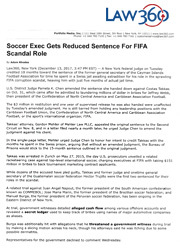 Represented former general secretary of the Cayman Islands Football Association who served three-month American sentence on straight money laundering conspiracy plea, with credit for detention pending extradition. 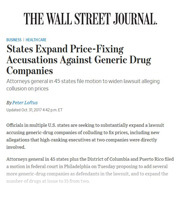 Represent pharma executive in federal and state investigations into alleged price-fixing and market allocation in generic drug industry. 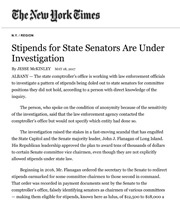 Represented legislative official in investigation of stipends paid to New York State Senators, allegedly for positions they did not hold. 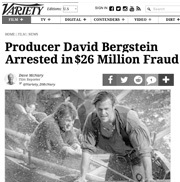 Represent former hedge fund executive charged with movie producer in securities and investment advisor fraud indictment. Represented police supervisor caught up in wide-ranging Suffolk County public corruption investigation stemming from conviction of county police chief on assault and obstruction charges. 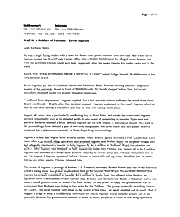 Represent marketing executive in USDOJ investigation of global advance fee scheme allegations. 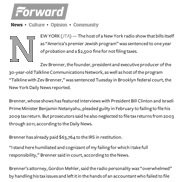 Represented radio host who was sentenced to probation for failure to file tax returns. 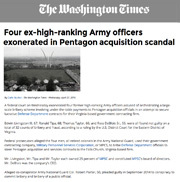 Represented Army officer in multi-defendant Virginia case involving allegations of bribery in National Guard. Argued appeal based on 24-week federal trial that generated 240-page government brief and nearly 12,000-page transcript. 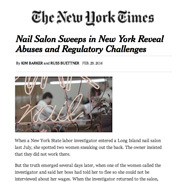 Represented individual associated with various Asian nail salons under investigation for wage-theft. 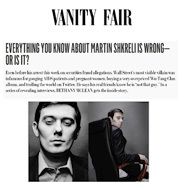 Represented close business associate of Martin Shkreli, purported whiz kid pharmaceuticals executive indicted on a variety of fraud charges, with no charges filed against client. 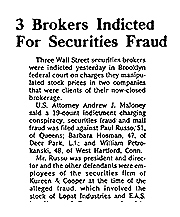 Represented executive at securities firm under investigation, growing out of stock manipulation charges against ex-husband of Sopranos actress and others. 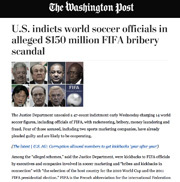 Represented one of seven original international soccer-related defendants arrested in Switzerland and extradited to United States to face racketeering, wire fraud and money laundering charges. Represented victim of charity fraud in which executive at nonprofit legal services provider allegedly diverted designated funding into private religious coffers. 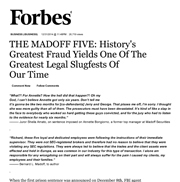 Firm spotlighted in lengthy article on Madoff Five Trial, described above, which Forbes writer Richard Behar called "one of the greatest legal slugfests of our time." 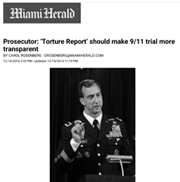 Participated as official, non-governmental observer at 9/11 Military Commission Proceedings in Guantanamo Bay Navy Base, Cuba, on behalf of New York City Bar Association. 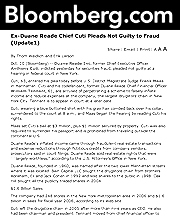 Represented two straw donors who were not prosecuted in campaign finance probe in which prominent Indian American hotel king pleaded guilty. 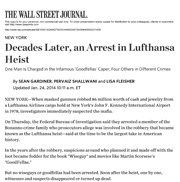 Represented individual in five-defendant racketeering case with allegations about the 1978 Lufthansa Heist at Kennedy Airport that inspired the movie Goodfellas. 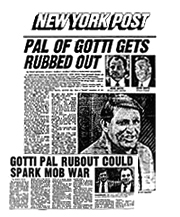 Represented crime victims in recovering nearly one million dollars from convicted mobster. 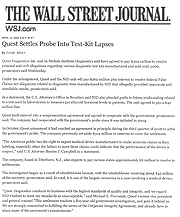 Represented family member of financier in settling SEC charges related to biotechnology stocks. Represented financial professional with alleged ties to gambling and money laundering case connected to art gallery located at Manhattan’s Carlyle Hotel. 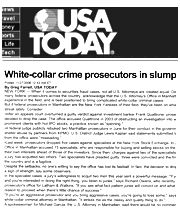 Firm spotlighted in story on business trends in white-collar defense work. 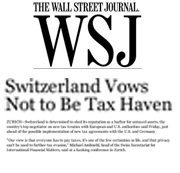 Represented one potential beneficiary of multi-million dollar Swiss bank account opened decades ago. 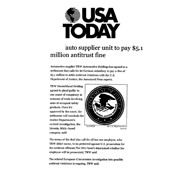 Represented auto parts executive in multi-pronged, international antitrust case. 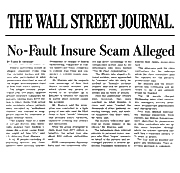 Represented businessman charged with bank fraud in connection with insurance claims. 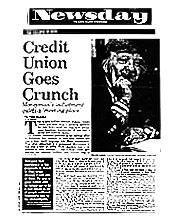 Represented banker who interacted with former Crowell & Moring associate accused of stealing millions of dollars in attorney escrow monies. 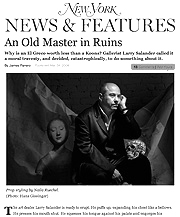 Represented alumni officer of Columbia University chapter of national college literary society founded in 1847. Fraternity victimized by former alumni president convicted after trial for embezzling $650,000. Represented local Department of Education vendor in billing practices investigation. 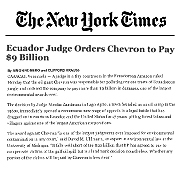 Represented, as local counsel, consulting firm involved in nine-billion dollar judgment against American oil company. 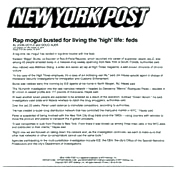 Represented magazine writer and advertising representative charged in marijuana conspiracy with co-founder of rap label Rock-A-Fella Records. 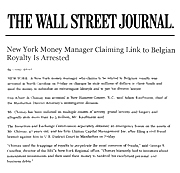 Represented money manager connected to Belgian royalty who was indicted on charges of perpetrating $6 million grand larceny. Represented broker in three-year USDOJ Antitrust Division investigation into bidding procedures for so-called guaranteed investment contracts in municipal bond industry. 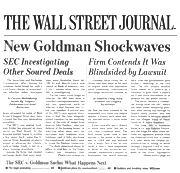 Represented hedge fund executive in SEC inquiry concerning collateralized debt obligations. 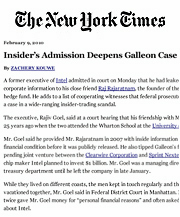 Represented Galleon senior executive related to allegations of insider trading by firm's founder. 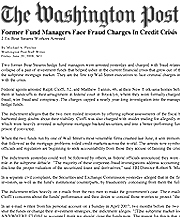 Represented real estate developer indicted federally for role in alleged $92 million mortgage fraud. 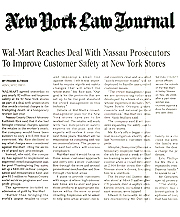 Represented, as pool counsel, more than a dozen witnesses in state criminal and civil investigations of store and shoppers involved in post-Thanksgiving Day trampling of Wal-Mart employee who later died. 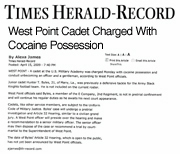 Jointly represented West Point cadet and member of its football team for alleged misconduct that subjected him to general court martial. Represented, as pool counsel, more than a dozen witnesses in criminal misbranding and civil False Claims Act investigations involving immunoassays and California medical testing company. Represented individual in fraud investigation of a Manhattan art gallery that specialized in Old Masters paintings. 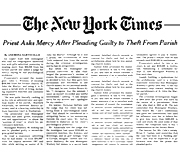 Represented company that did business with CEO of prominent drug store chain later convicted of embezzling company funds. 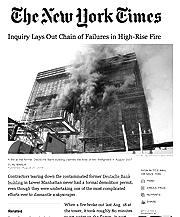 Represented building inspector in state criminal investigation into death of two firefighters trapped in building under demolition near World Trade Center. 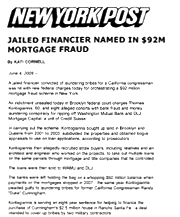 Represented individual who worked closely with two Bear Stearns hedge fund managers indicted federally, and later acquitted, for their involvement in subprime mortgage market. 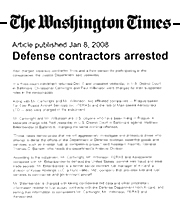 Represented co-founder of two companies indicted in Maryland by USDOJ Antitrust Division on bid rigging and theft of trade secrets conspiracy charges; companies provided aviation fuel to Department of Defense and ground support and fuel to private jets in more than 200 airports in Eastern Europe and Central Asia. Represented seven individuals associated with Florida-based private bank in Bank Secrecy Act investigation conducted by USDOJ, Federal Reserve Board and Financial Crimes Enforcement Network. 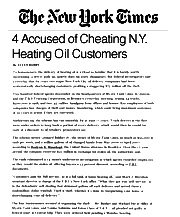 Represented energy industry executive in federal criminal case related to allegations of overcharging in the home heating oil business. 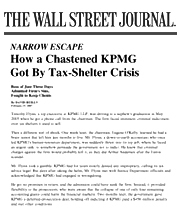 Represented company that derived benefit from tax shelters promoted by former KPMG tax partner. 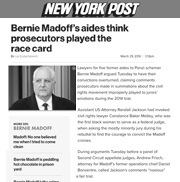 Represented, as pool counsel, more than two dozen New York Stock Exchange specialists and clerks in connection with two federal investigations and prosecutions of questionable trading practices. 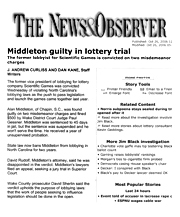 Jointly represented former Scientific Games lobbyist in federal and state investigations that focused on efforts to pass North Carolina lottery legislation. 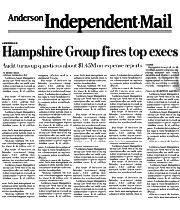 Represented senior executive at South Carolina-based apparel company in investigation of more than $1 million in questionable expense reports submitted by CEO. Represented individual in state investigation and prosecution of cleric charged with stealing church funds from parish. 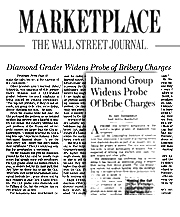 Represented crime victim of diamond graders who were accused of taking bribes from diamond dealers to inflate grading of precious stones. 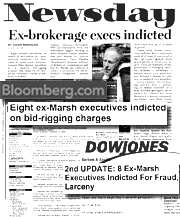 Represented Marsh & McLennan executive indicted by New York State Attorney General on insurance bid rigging charges. Represented retail brokerage manager in federal "squawk box" investigation of brokers who allegedly received payoffs to release confidential, proprietary financial information to day traders. 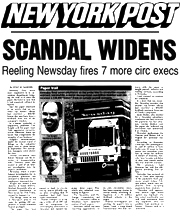 Represented family members of New York University undergraduate convicted by federal prosecutors for fraud in running Greenwich, Connecticut hedge fund that attracted millions of dollars from sophisticated investors. Jointly represented David Lemus, on pro bono basis, in wrongful conviction case. Lemus, together with Olmedo Hidalgo, had his conviction overturned (and was later acquitted) after he served more than 13 years in prison for 1990 murder of Palladium nightclub bouncer. 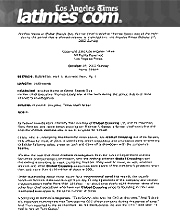 Case was also subject of two-hour Dateline NBC special. 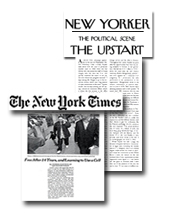 Represented senior financial officer in federal criminal case with charges of inflated newspaper circulation figures. 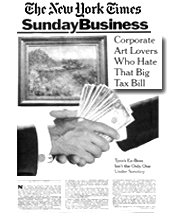 Represented firm internationally prominent in art world on charges related to non-payment of sales tax by clients on contemporary artworks. Represented senior executive in Florida-based attorney referral service company in federal criminal case charging fraudulent purchase of business. 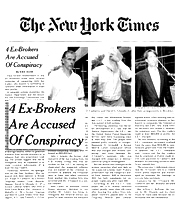 Represented former executive at Canadian bank in connection with New York State Attorney General and SEC mutual fund "late trading" and "market timing" cases. 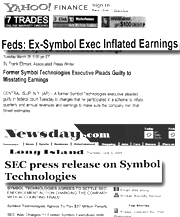 Represented executive at Symbol Technologies, leading maker of bar code technology, on securities fraud charges growing out of corporate accounting irregularities totaling more than $200 million. Jointly represented former senior executive at Global Crossing in federal commercial litigation growing out of criminal and regulatory investigations into company's finances. 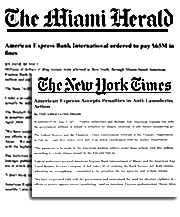 Represented former investment bank managing director in violation of supervised release proceeding growing out of earlier money laundering conviction. 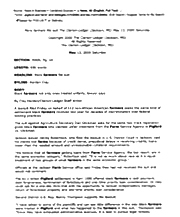 Represented USDOJ as special counsel in arbitration appeal involving alleged loan discrimination against African-American farmer in Mississippi. 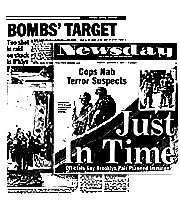 Participated in prosecution of terrorist convicted of conspiracy to plant bombs on New York City subway train. Prosecuted corrupt police officer convicted at trial on charges of conspiring to distribute heroin. 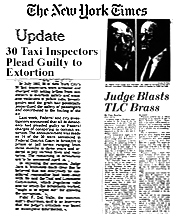 Prosecuted 30 New York City taxi inspectors (more than a third of the total force) for taking bribes from taxi owners to overlook safety and emission violations. 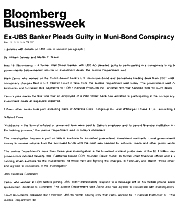 Co-prosecuted president of Lithuanian credit union with assets of over $80 million convicted after five-week trial on charges that he looted the financial institution. 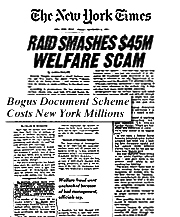 Prosecuted large ring responsible for tens of millions of dollars in welfare fraud in case that contributed to institution of welfare applicant fingerprinting in New York City. 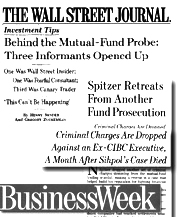 Co-prosecuted three defendants associated with Wall Street securities firm convicted in 11-week trial on stock manipulation charges. Co-prosecuted captains of Gambino and Bonnano organized crime families. 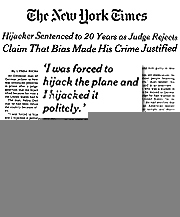 Acquitted after trial and all three later murdered amid a guilty plea to jury tampering. 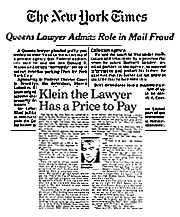 Prosecuted lawyer who paid bribes to Queens borough president to help secure city contract to collect overdue parking tickets. 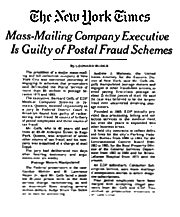 Prosecuted president of mass-mailing company convicted on racketeering charges in six-week trial of multi-million dollar postal fraud. 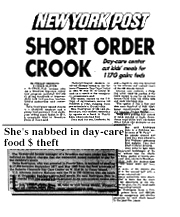 Prosecuted head of day-care center who enriched herself and her son at expense of impoverished children. 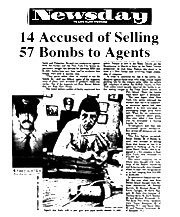 Prosecuted New York City firefighter convicted at trial on charges of selling pipe bombs.